I've suffered from pretty severe trichotillomania since age 7, and have experienced some degree of Pure O symptoms for as long as I can remember. The latter is usually at a mild level, but I've had some lengthy flare-ups where the obsessive thoughts/reactions would consume hours a day. 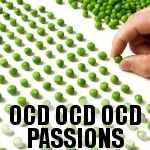 Recently divorced with OCD and looking Have OCD but under control. Looking for companionship. someone who wants to party and have fun, who feels young regardless of your age. Successful businessman and musician (play in rock and roll band). Most like music also. want someone, so we can be best friends and take care of each other. Is that you? Does theonecommander belong in this group? Does coffe4meplz belong in this group?